Take I-5 South to Exit 105/City Center/Port of Olympia Exit. Proceed through the first traffic light intersection of Plum Street and Union Avenue. Take the next right onto 7th Avenue SE. Proceed 1½ blocks to 914 7th Avenue SE. 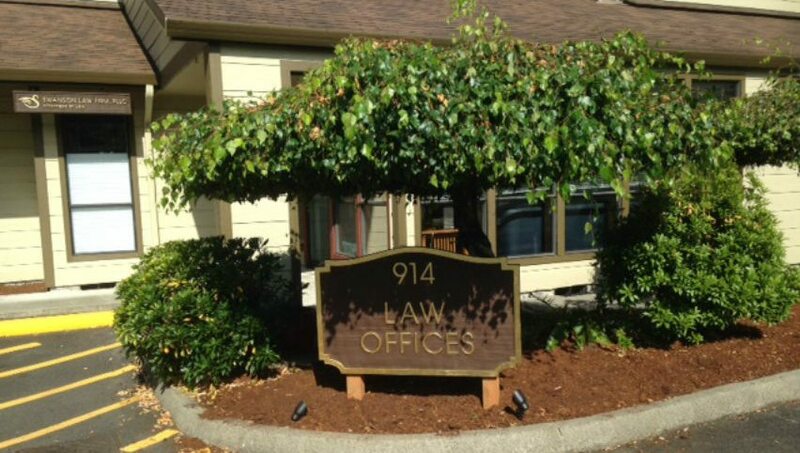 Our firm is located on the left in a tan two story building with copper border. Visitor parking is available in front of building or metered parking on the street which will be reimbursed. Take I-5 North to Exit 105/Port of Olympia Exit. Stay to the right, which will loop around back under the freeway and proceed to a lighted intersection. At the intersection, turn left onto Plum Street. Proceed on Plum Street through the traffic light intersection of Plum Street and Union Avenue. Take the next right onto 7th Avenue SE. Proceed 1½ blocks to 914 7th Avenue SE. Our firm is located on the left in a tan story building with cooper border.